* don’t ask me when this happened, it’s never mentioned. Other than the wraparound (which features effective cameos from Haran and Stephanie Ellyne’s Amy Cunningham), this is entirely an Andrew Collins affair, told Companion Chronicles style. While still retaining that giggle inducing eeeeeevil vampire cliche orientation noted in Bloodlust, Collins does grow on the listener the more airtime he gets, and his performance similarly seems somewhat more restrained than how it came off during the earlier, more appropriately episodic short run audio soap opera last Fall. 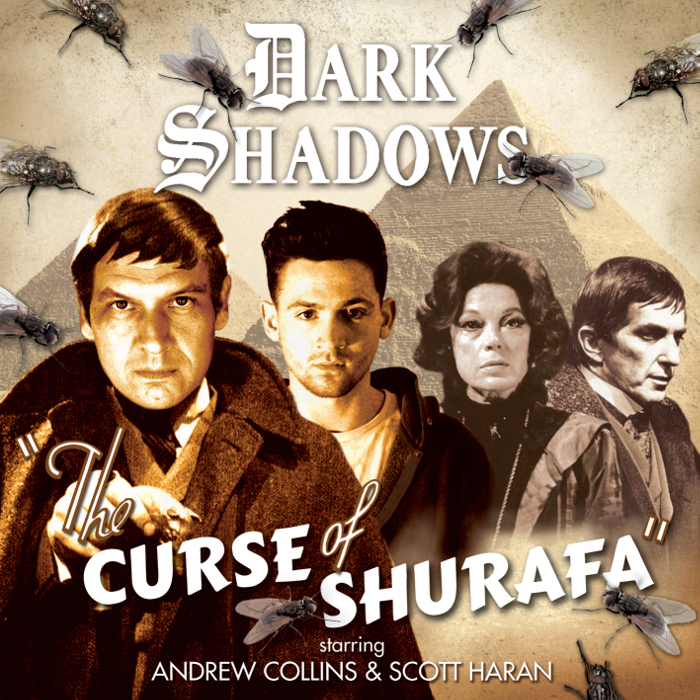 As further positives, Collins has a pleasant baritone and crisp delivery, with marked attention to proper diction (particularly when placed against the more modern, colloquial approach of Haran), and while the story itself is somewhat ephemeral, it does have more than enough gothicism (albeit displaced to more of a pharaonic setting and orientation) and sufficiently evocative sound design* to leave The Curse of Shurafa with a generally pleasant taste to the Dark Shadows aficionado’s palate. All in all, it’s a decent offering, particularly given the seemingly insurmountable hurdle of a script revolving around no less than three beloved actors, each of whom has long since departed this mortal vale!